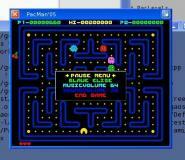 PacMan05 is an AmigaOS 4.0 port of PacMan96. work on true color screen (including a true color Workbench). 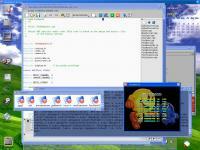 PacMan 05 runs on AmigaOS 4 only. directly thru AHI (and use audio buffers if possible). But...it's a pitty to keep it just on my harddrive. The original PacMan96 is included. Try it on E-UAE! likely outdated. But recognize the authors. Credits where credits are due! Note: Fullscreen is fixed to 320x256 (but runs on other resolutions as well). You might propably want to create such a mode on an AmigaOne first, though. fix things from time to time.